Travelers keen on the culture of the past have a unique opportunity to spend several days in the high-class Ca dei Conti . This hotel is open in one of the most beautiful palaces of the 18th century. Several hundred years ago, the palace belonged to the noble Armenian family of the Sherimann. Guests of the hotel can still see the family’s coat of arms in the hall of the hotel. Ca dei Conti carefully keeps a rich collection of antique furniture and artworks. It is also not deprived of modern conveniences. For example, the historic building has an elevator, which is very rare for Venetian hotels. During warm months, guests can enjoy fine weather in a spacious open terrace. 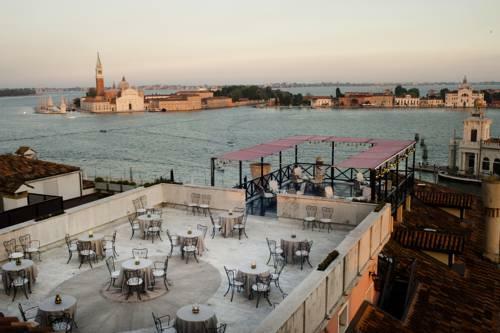 Hotel Bonvecchiati is one of the most attractive historic hotels in Venice, which greeted its first guests yet at the end of the 18th century. Currently, Hotel Bonvecchiati offers more than 120 guest rooms that include suitable rooms for fans of traditions of the past and adherents of modern style. Just like many years ago, some guest rooms come with elegant antique furniture made of precious sorts of wood. Talented use of premium fabrics in different shades and textures has always been a striking peculiarity of guest rooms. Thanks to that, the atmosphere of aristocracy and elegance reigns in the hotel. Bauer Il Palazzo is open in a stylish building that dates back to the 18th century. The magnificent décor of the hotel is a quintessence of the most beautiful traditions of the past. Magnificent chandeliers made of Murano glass, giant mirrors in gilded frames, wooden ceilings in guest rooms, and wallpapers with intricate patterns – simply every detail is unique and irreplaceable. There is a fantastic relaxation area with hydro-massage bathtubs on the roof of the historic building. Good news for tango lovers - Bauer Il Palazzo regularly organizes tango classes for guests of the hotel. From the historical point of view, Palazzo Contarini Della Porta Di Ferro is an incredibly beautiful and attractive place. This apart-hotel is open in a unique 13th-century building that has nearly kept its original décor. Guests of the hotel will have an opportunity to walk in ancient stone stairs, relax on spacious terraces, and walk in the picturesque inner yard. There are still ancient fountains and stone sculptures in the yard, but the hotel itself keeps many historical treasures. It still has old stone and wooden décor, and genuine antique furniture only makes this place even more fabulous. 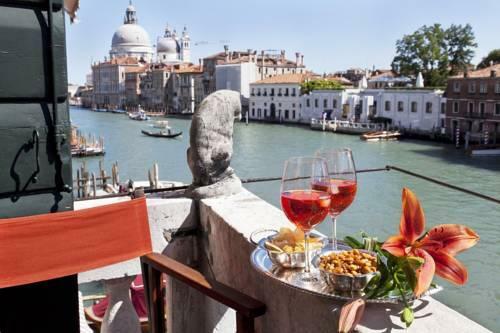 Savvy travelers are also welcome to enjoy the one-of-a-kind historical atmosphere of Venice if they decide to stay at Palazzetto Pisani that is open close to the picturesque district of Campo Santo Stefano. The hotel is open in a fully restored 16th-century building. The historic hotel carefully keeps a priceless collection of ancient paintings, tapestries, and frescoes that are present in all guest rooms and public areas. Genuine antique furniture, the original ceiling decorations, and premium hardwood floor – the design of guest rooms is worth a luxury hotel. 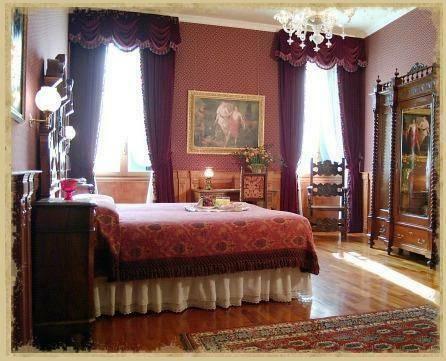 Casa Nicolò Priuli is open in a magnificent mansion that dates back to the 19th century. Its charming guest rooms are made in best traditions of Renaissance. All guest rooms feature unique wooden furniture with skillful carving and textile draping in cherry and burgundy. Murano glass chandeliers and lamps create a special setting, as well as ancient paintings in massive gilded frames. The historical building still has a charming inner yard that is filled with the fragrance of blooming flowers in summer. Some guest rooms come with private furnished balconies. 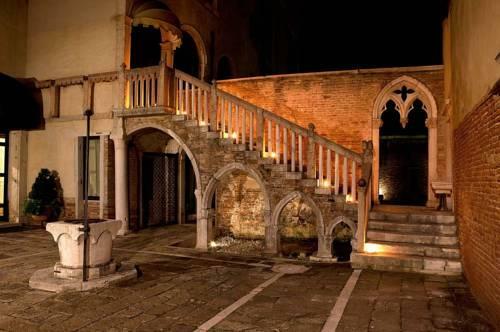 This guide to historical hotels of Venice is protected by the copyright law. You can re-publish this content with mandatory attribution: direct and active hyperlink to www.orangesmile.com.